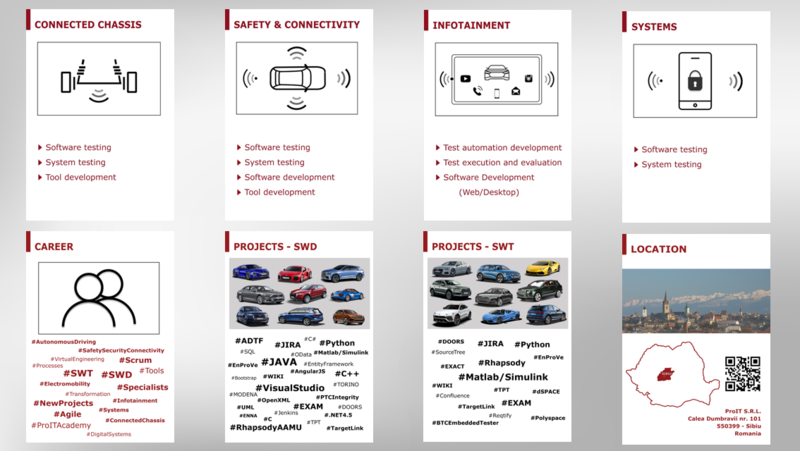 Megatrends such as digitization, electrification, autonomous driving, automation of development and test processes, the increasing networking of vehicles with the environment will shape the ProIT transformation process in 2019 and motivate the entire team for further development. The annual Kick-Off took place in the first quarter of 2019. The ProIT colleagues had the opportunity to look back together on the previous successful year and to be prepared for the challenges of 2019. In the spirit of agility, the ProIT project and activity portfolio was presented by the Technical Project Leaders. ProIT continuously implements agile, flexible and dynamic working methods in the transformation process. Through the good cooperation and especially the openness to internal changes of our colleagues, it is possible to go through the transformation process efficiently and successfully. The trust of our customers in the reliable and high-quality work of our colleagues and the great projects are motivating factors in the continuous development process of the ProIT colleagues. “ProIT is growing in the transformation process 2018 – 2019”.